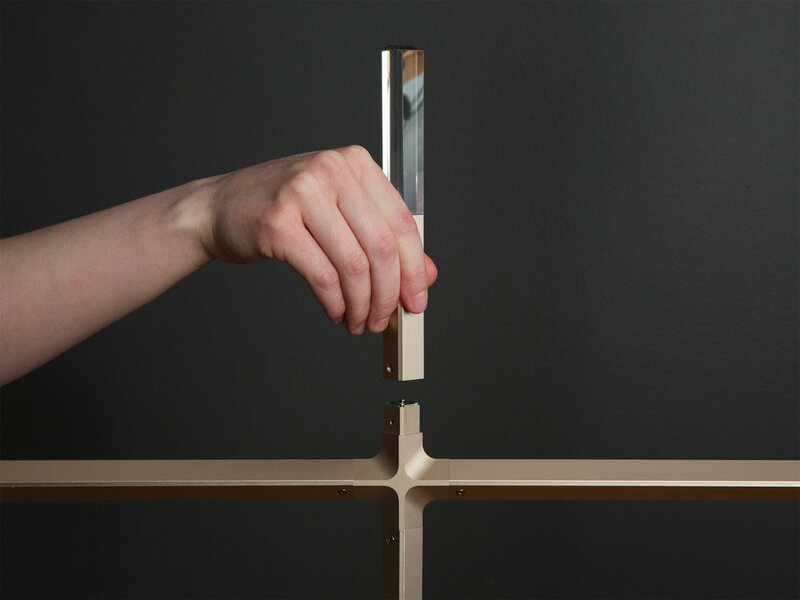 The project was developed through trying to find an alternative method to position an adjustable lamp. I developed a playful way to secure the desired position by placing a pin into the turning elements on the lamp. 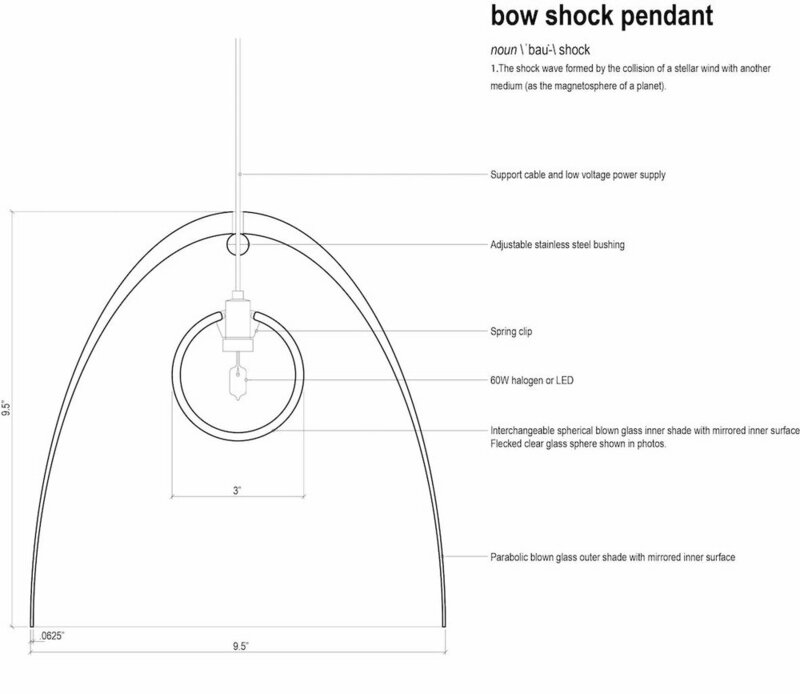 The design is based around conflicting geometry, the internal workings of the turning parts had to be designed in a way to prevent the lamp falling quickly under its own weight once a pin was removed. Internal rubber bushings we included to create a soft action and prevent this from happening. Under the Cosmic theme, natural, elemental materials we're chosen. A solid stone base contrasts with the glossy copper shade. A dark lacquered finish was chosen for the frame to add contrast to the solid brass pins. 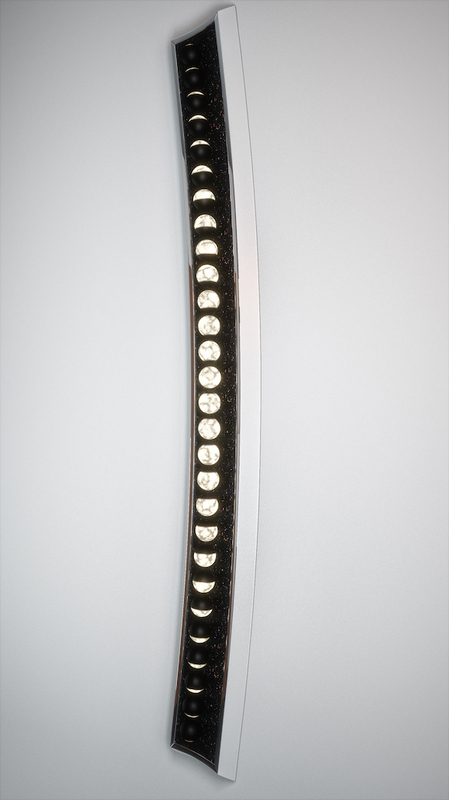 On profile the polished pins align and reflect surrounding light to imitate the constellation of Orion. 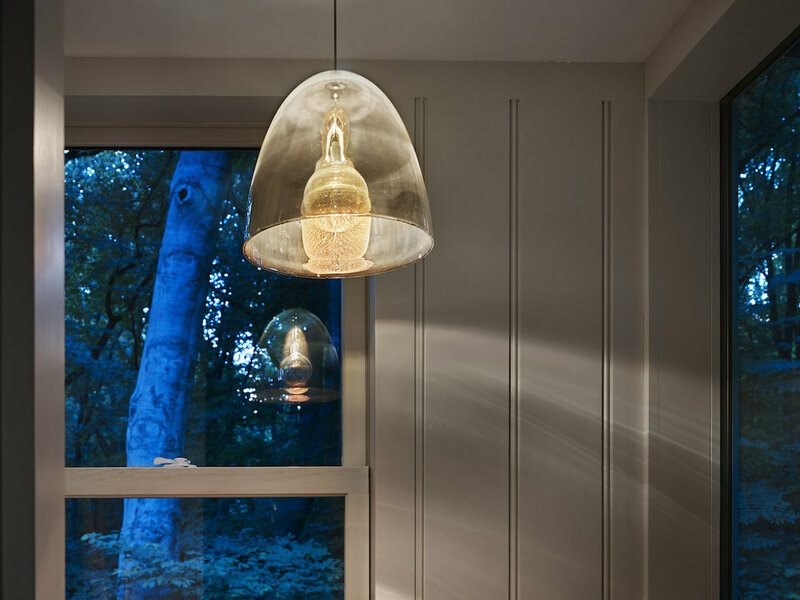 Product designer now working within commercial interiors, many of my interior projects include bespoke elements that include lighting, accessories and furniture. A hobbyist, designing and creating products and furniture in my spare time. "And in that blackest moment, a guiding force pulsed through the remnant, lighting the last city over the dark horizon." Jax lives in that familiar and yet unplaceable future past, the one imagined and reimagined time and again in and out of the pages or frames of science fiction. This fragment of prose hints at a timeless, perhaps intergalactic, story which Jax brings to life, light in boundless darkness. A modern, star-shaped hub powers the prisms, connecting light like constellations with each crystal throwing its own starburst. The final futuristic form of each system nods to a dreamt up intersection of architecture, light, power, time, and space. Jax poetically juxtaposes the machined with the handcrafted, reinterpreting the traditional crystal chandelier for a different time and place. The body is made from high-precision aluminum, extruded or machined, and satin anodized. 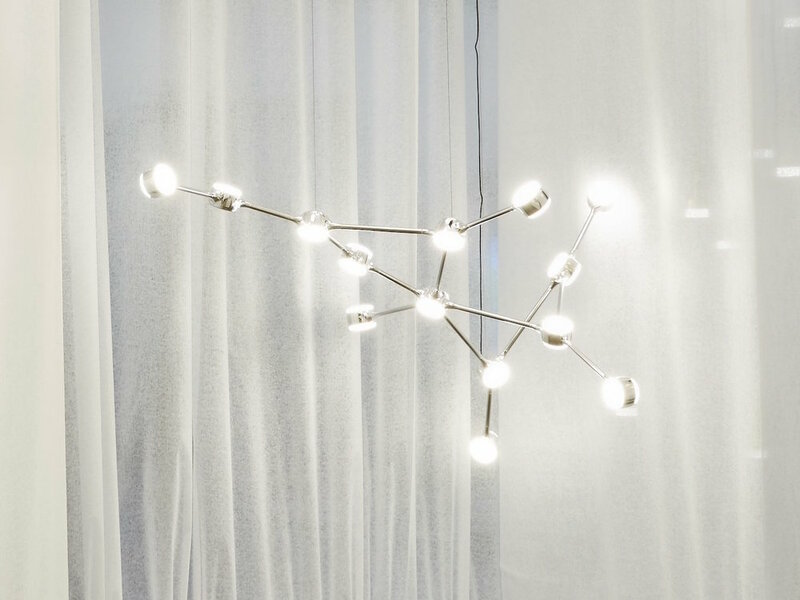 High-powered LEDs and hand-polished crystals form light sources. 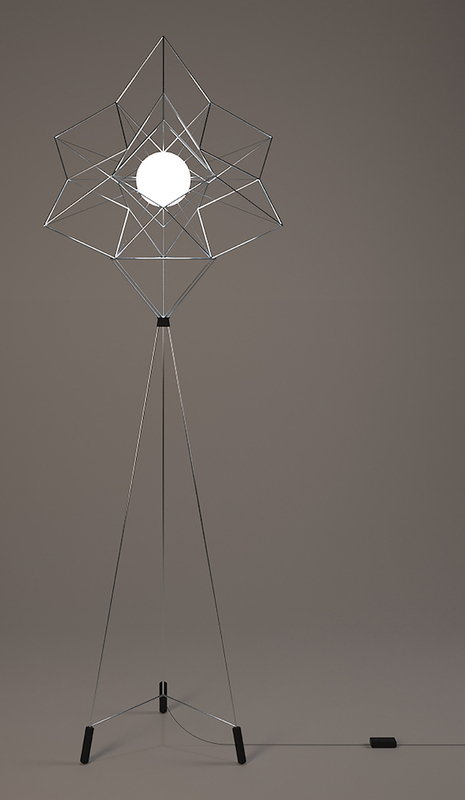 A subtle chamfer crosses both materials, nodding to the archetypal cuts of chandelier prisms. Comprised of three elements, Jax becomes a never-ending, tailored network of modular, sculptural ceiling and wall fixtures. Diaphanous lights the night hours with starlight. The ancients believed a firmament separated the heavens from the earth, a hemisphere from where the stars shone down to lighten our darkest hours. Diaphanous recreates this cosmic order, a luminaire fashioned with an LED waveguide dome, floating above, with light extractors fashioned by custom laser etching to represent the multitude of stars and nebulae of the cosmos. Diaphanous is a map to the stars, recreating the actual patterns of the night sky from any point of view on earth, shown here as the night sky of the Northern hemisphere. The minimal parts and innovative, screw-free assembly makes Diaphanous sustainable and cost effective, comprised of a waveguide, a circular LED array, a central ring-shaped heatsink and conductive support cables, capable of creating intense or dimmed light at a staggeringly energy-efficient 130 lumens per Watt with superior CRI 92 colour rendering. 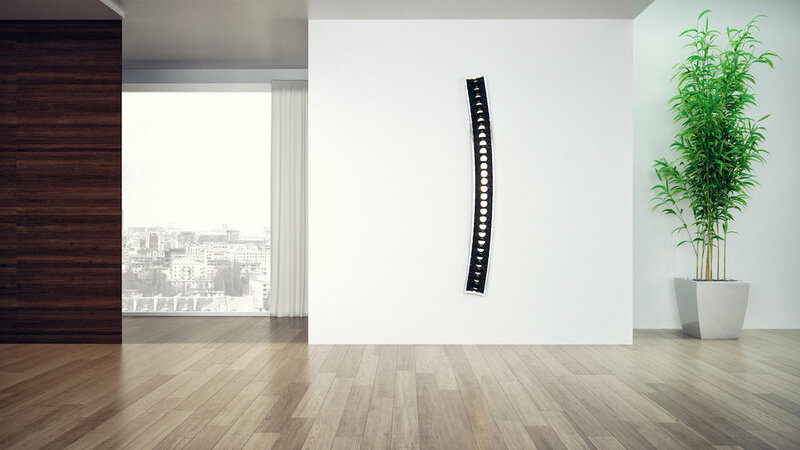 Diaphanous is an LED waveguide luminaire measuring 180mm tall by ø900. I love lighting. There’s something magical about it. I’m passionate about solid state lighting, and have been working on personal projects designing and developing new archetypes in LED waveguide lighting. Recently, I incorporated a new venture, Loom™, to bring innovative lighting solutions to market. Loom Inc. is a Top 15 Round_3 finalist in the 2016 New Ventures BC technology business competition. I live and work near Vancouver, Canada. Little Zig refers to the Ziggurat formation of the shade, a shape that references objects both ancient and futuristic. The origin of the shade was inspired by a recurring visual element in the paintings of one of the collaborators, whose work also references traces of time from past to present to future. Translated into a table-top lamp, the shade appears to have landed like an unknown craft onto the earthy, concrete base. The COSMIC reference here is visually undeniable, as the addition of glow to the form reinforces its spaceship-like appearance. This piece is the second in a collaborative series, both exploring the transformation of this ziggurat form. The use of digital fabrication technology is an intentional move to enable local, simple production. The concrete base is cast in-house, serving as a contrast to the glowing acrylic shade. The materiality and processes allow for minimal waste and straightforward production. Processes: Laser cut acrylic sheet, cast concrete form. Shade is removable. Henri Preiss is a visual artist, whose paintings combine archetypal imagery (motifs, compositions, color schemes and symbolism) in complex ways to produce pieces that are exotic yet somehow recognizable. Henri teaches drawing in the Theater School at DePaul University. Eve Fineman is trained as an architect and teaches interior architecture and product design at Columbia College Chicago. Eve designs furniture and custom interiors for projects ranging from residences to restaurants and yachts. Nightlight brings mankind in touch with the mysteries of space and the farther reaches of the universe. The moon, traditionally our principal source of nightlight, can evoke strong emotions- from fear and terror to peace and calm. The celestial movements of earth, sun, and moon govern the lunar or synodic month, with the familiar shifting moon phases. Synodic Sconce is a representation of these moon phases and an expression of this beguiling celestial dance. Twenty eight blown glass globes are arranged in a vertical arcing pathway over Black Galaxy Granite. The broncite scales within the granite glitter like the night sky. The glass globes, internally illuminated with LED bulbs, are hand painted black to evoke the gradual waxing and waning of the moon cycle. Mirror polished stainless steel borders the sconce. Resonant with cosmic mystery, Synodic Sconce is familiar and enchanting, an illuminated sculptural light source and object of contemplation. Dimensions: 68" tall x 6" wide x 2" deep. 172 cm tall x 15 cm wide x 5 cm deep. Neal Aronowitz, a Brooklyn, NY native has been living and working in Portland, Oregon since 1995. After studying art and architecture in NY and Massachusetts he founded a successful construction company, while building furniture on the side. Neal recently made the irrevocable decision to dust off and crack open those piles of sketchbooks and foray into the more experimental, riskier pieces that have been unrealized dreams. Inspiration abounds and there is no turning back now! Conceived as an interlinking constellation of lights, Ramus is a system of independent luminaire modules that interconnect to form vast looping networks in planar or 3-dimensional space. The extraordinarily compact junction nodes are configured to have up to 5 branch arms, and a choice of single or bi-directional LED illumination. 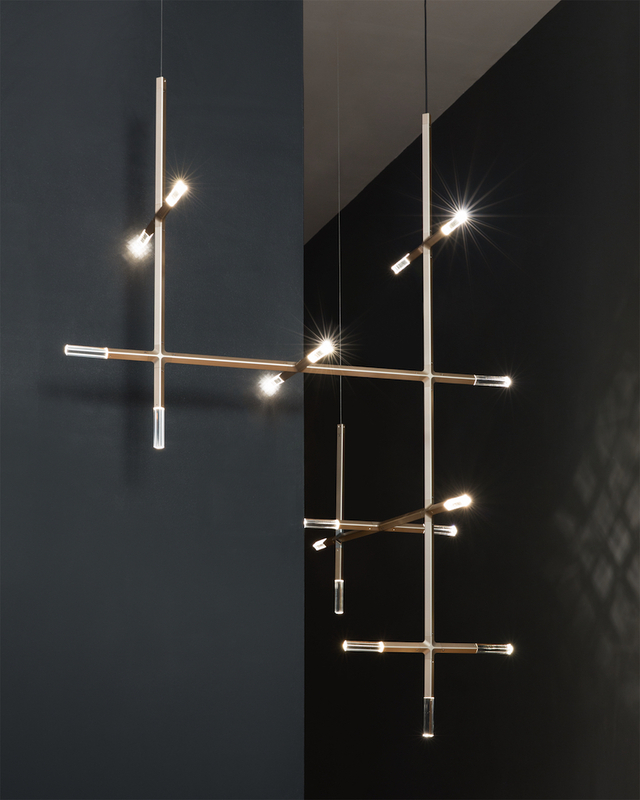 In a unique departure from branching lighting vernacular, the Ramus branch division occurs at every light node, resulting in an unprecedented level of freedom to create personalised bespoke sculptural installations. An unconventional ability to link the structure back onto itself gives these arrangements the opportunity to form intermolecular style bonds that maintain strength across large arrays – resulting in a system that’s infinitely expanding, just like its cosmic inspiration. The intent is to provoke a shared creative collaboration between the designer and client. Arms: max. 2 metres between modules. dimmable integrated Tridonic LED, 3000K. Rakumba started making beauty in 1968. 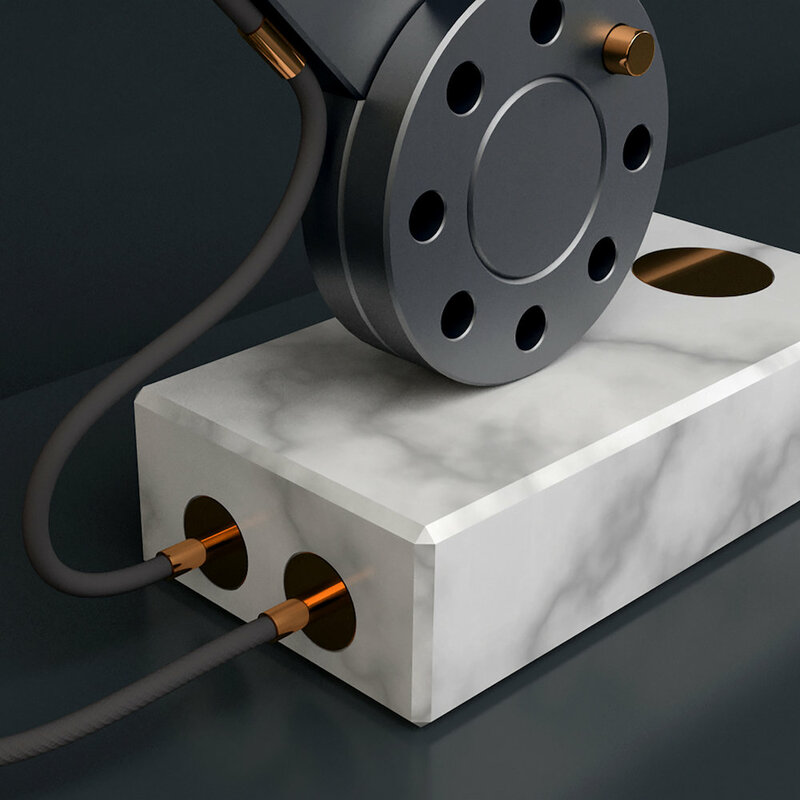 Our team of Industrial Designers is Australian-based and internationally present. Our inspiration comes from anywhere and everywhere – our passions span far and wide. The intersection between design and craft is important to us. Our attention to detail and pursuit for perfection is what matters. We care about what we create. It’s not a philosophy, it’s pride. the sun (which is located in space). I felt like making an object which in the first place offered me some comfort and consolation. But I also wanted to share this object with a broader audience, to offer them happiness and also when needed hope. Tomas Schats makes objects/animations/drawings from which everything superfluous has been omitted. The narratives he tells are layered and occasionally take unexpected turns. The objects/drawings/animations are based on reality, light-footed but transcend it is a subtle manner. They tell stories about humankind, with all its possibilities and limitations. 1. The parabolic shock wave formed by the collision of a stellar wind with another medium (as the magnetosphere of a planet or the heliosphere of a star). Since the beginning of time, depictions of our prevailing cosmology in everyday things have imparted meaning to our lives on earth. This pendant, born in a furnace and cooled to represent the movement of matter through time and space, continues that tradition. During the day, the mirrored surfaces are convex to the light source, expanding and capturing the room like a van Eyck painting. At night, the mirrors are concave to the source, focusing, reflecting, and converging the light in ways that change with the point of view – much like the bent universe we observe through telescopes. As matter sails through the cosmos, the bow shocks merge, converge, and land on unimaginably distant shores. This is a low voltage pendant with an LED or halogen light source (halogen pictured). 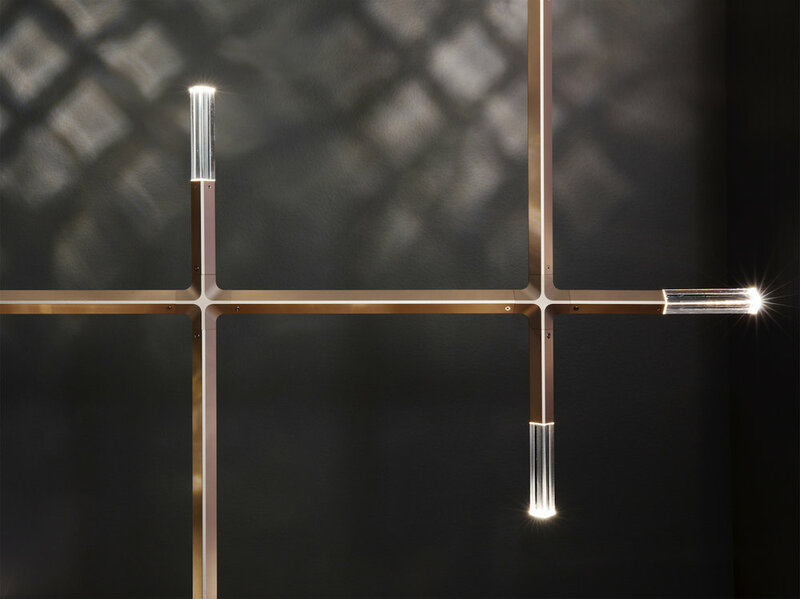 The fixture is comprised of two mirrored shades. The inner shade is spherical clear blown glass with white flecks and the outer shade is clear parabolic blown glass. Both shades are mirrored on the inside surface. The outer shade attaches to the low voltage cable with an adjustable stainless steel bushing. The inner shade is supported by a spring clip. Tom Purdy and Linda O’Gwynn have practiced architectural design for 30 years as a way of finding home-on-earth. Tom loves the materiality of architecture and finding conceptual relationships between the whole and the detail. Linda is drawn to the spatial aspect of architecture and focuses on the fit between use and the character of space. They’ve launched Purdy O’Gwynn Product Design (POPD) as an exploration of the same themes on a smaller, more personal scale. “If you wish to make an apple pie from scratch, you must first invent the universe…” said Carl Sagan, who is perhaps one of the most popular astrophysicists of the modern history. 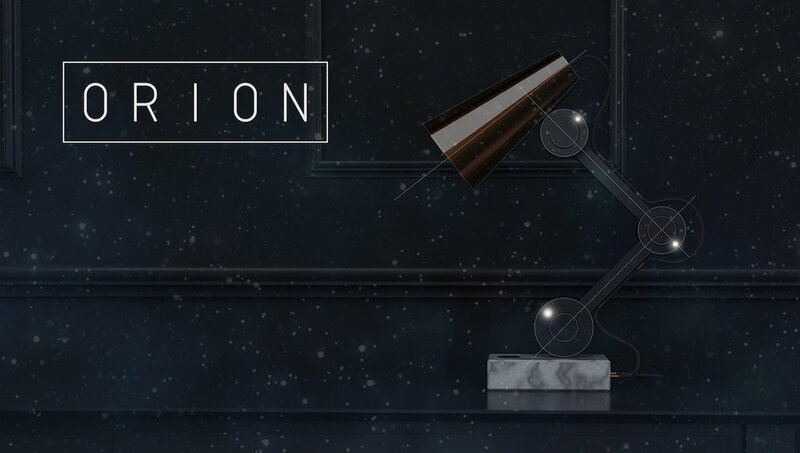 Understanding the meaning behind his words, I synthesized my own quote: “If you want to design a light fixture, then I need to invent the light first…” Then I traveled to the point at which all had started, the Big Bang, and found my inspiration there. Stellar represents the origin and the birth of our universe. Like everything else, light was born in there and ever so expanding to every direction. Hard geometric angles and diverging lines enforces the great explosion image. Stellar was designed as two separate pieces, so the user can carry his/her universe anywhere he/she wishes. Smart processor inside the light globe provides many customization options, such as color, intensity, and/or sensor integration. Bekir Kelceoglu is a professor and a designer. Passionate about design and emerging technology, he has been actively teaching, researching, and designing architectural products for more than 10 years. Originally from Turkey, he has bachelor’s degree in interior architecture from Anadolu University, Turkey; and, master of fine arts degree in industrial design development from the Ohio State University. He lives and designs in New Jersey, USA.